The scenery and wildlife in Glacier National Park provides constant amazement and inspiration, for young and old alike. A fun way to reveal the deeper significance and meanings of the park is to spend time on an interpretive tour. The 2019 East side tours operate from June 8 to September 22. The 2019 West side tours operate from May 18 to October 20. The fleet of 33 buses in Glacier is widely considered to be the oldest touring fleet of vehicles anywhere in the world, so due to the historic nature of the Red Buses, seats are not designed to the same standards as today’s buses. The red buses seat 17 people, with 4 across on bench seating and 1 front passenger seat. These are snug quarters with limited space. The Red Bus tours tend to sell out on a daily basis, so please don’t expect room to stretch out. Glacier Park Red Bus tours depart from both the east and west sides of the park. All tours are round trip, departing from and returning to the same location. 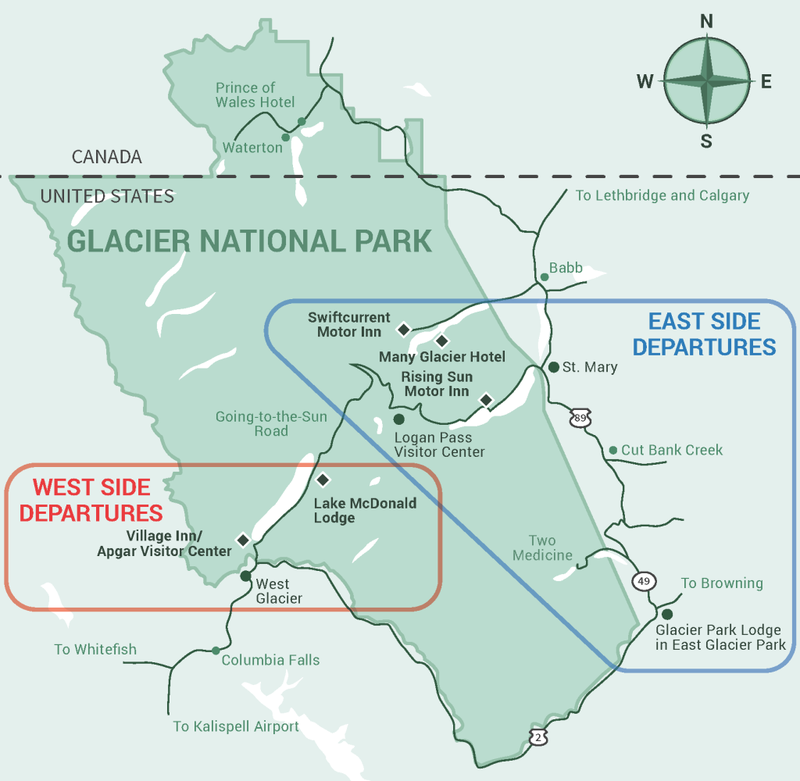 East side departure points include: Swiftcurrent Motor Inn, Many Glacier Hotel and Rising Sun Motor Inn (all inside the park), various spots in the town of St. Mary’s, Johnson’s (for their hotel guests only) and at the Glacier Park Lodge in East Glacier (all outside the park). West side departure points include: Apgar Visitor Center, Village Inn at Apgar and Lake McDonald Lodge (all inside the park), plus a couple spots near the west entrance to the park.